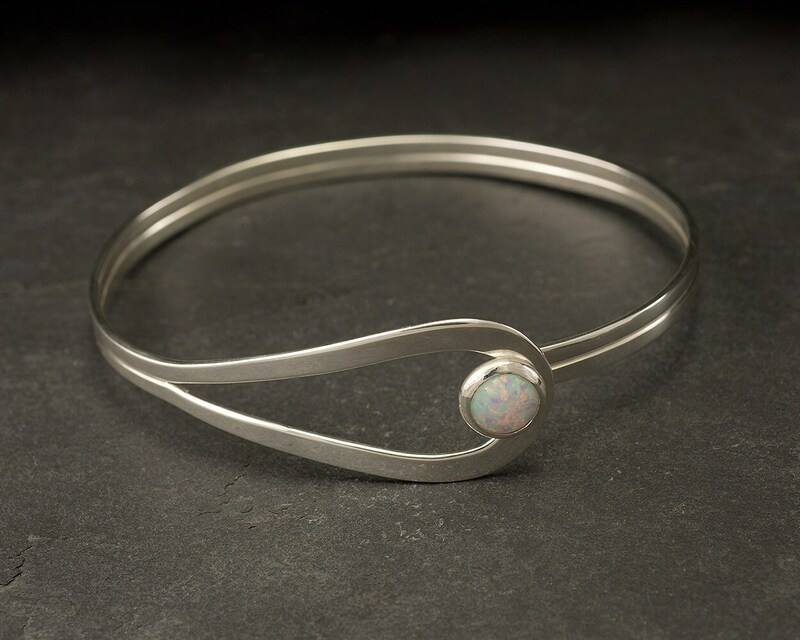 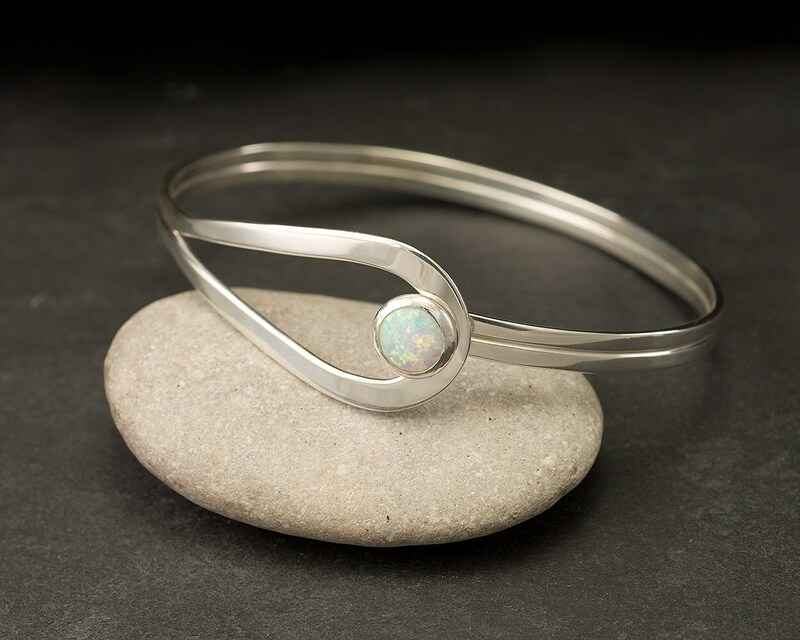 This solid sterling silver bracelet was designed around a curving line accentuated with an 8mm lab opal gemstone. 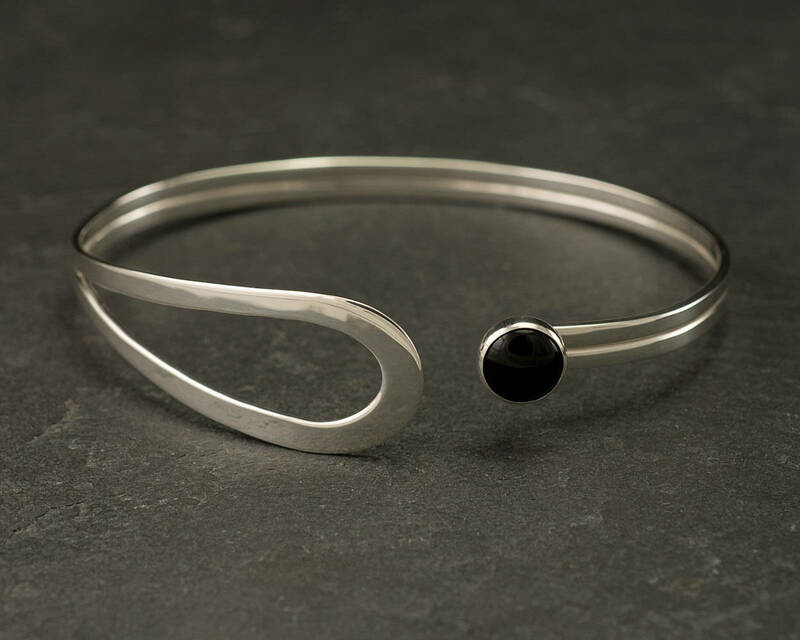 This modern bracelet has a simple spring latch closure. 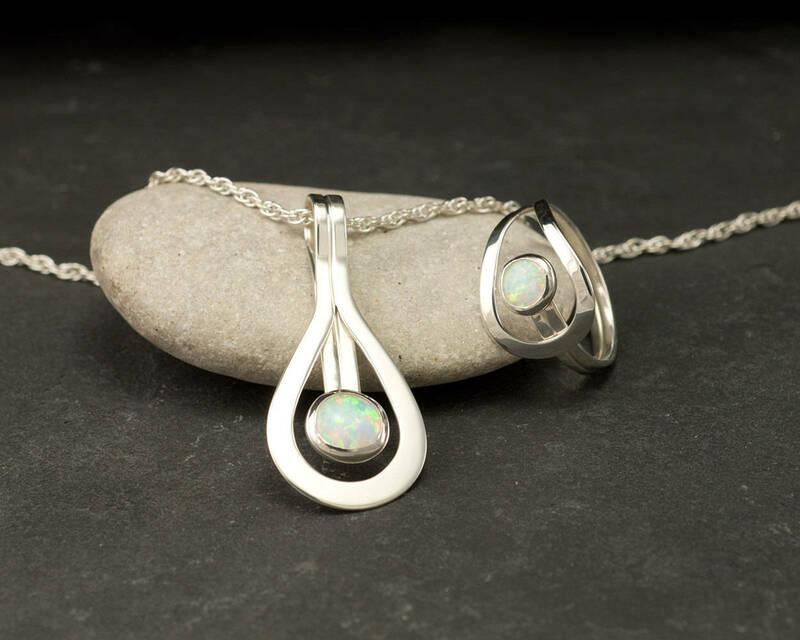 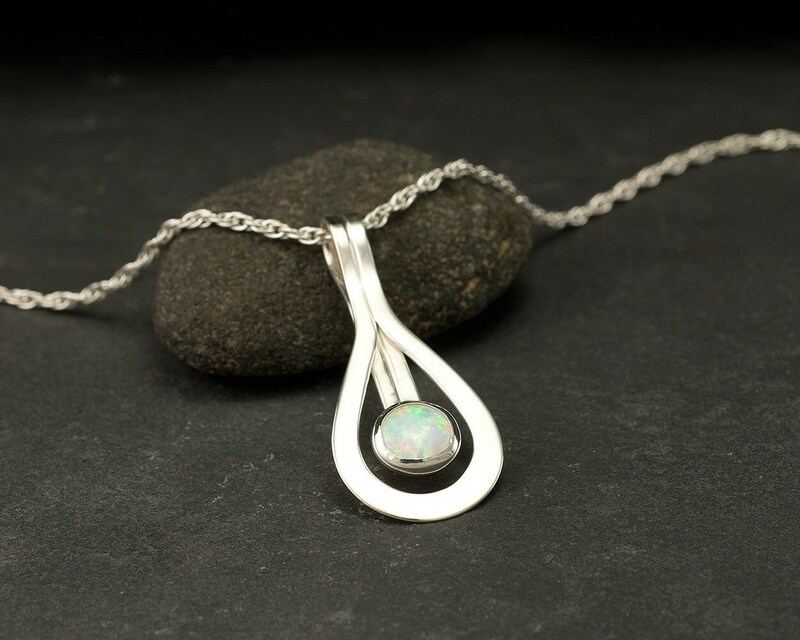 The matching opal ring and necklace are for sale in my shop- make it a set! 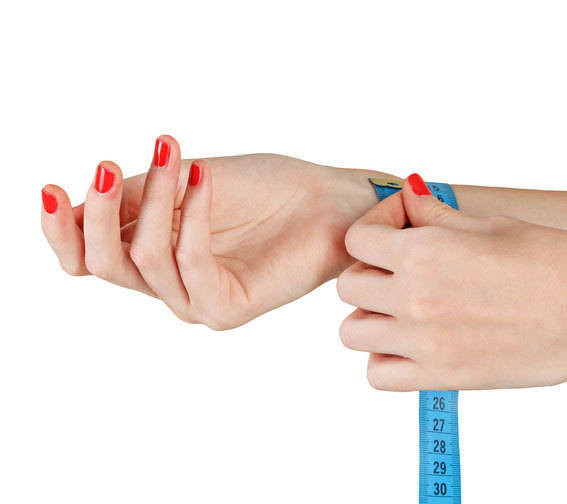 STEP 1: Measure your Wrist with a flexible tape ruler or a strip of paper just below the wrist bone, where you would normally wear your bracelet and measure it. 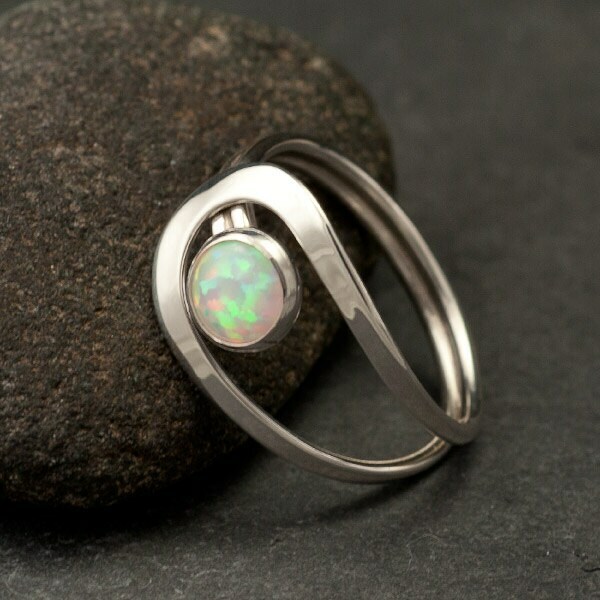 Purchased for my mother as a birthday present… and she loved it! 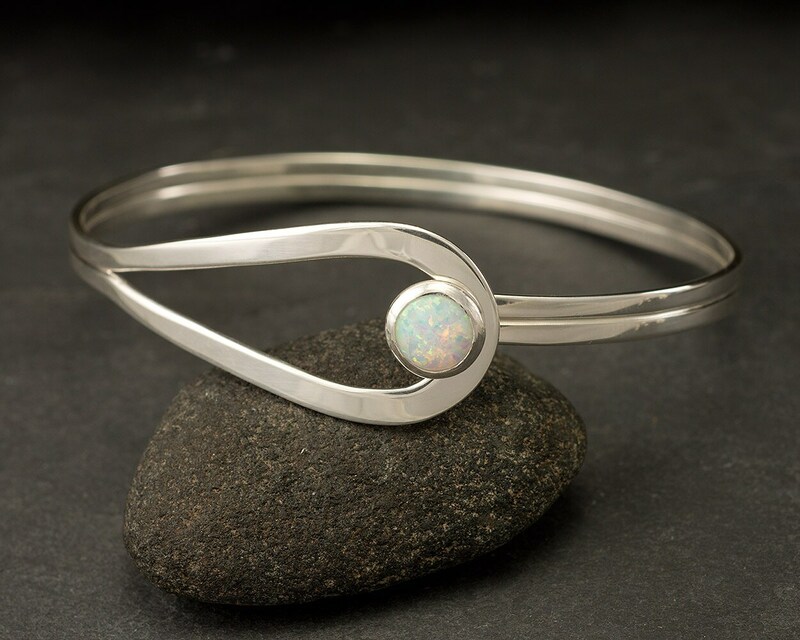 This bracelet is gorgeous! 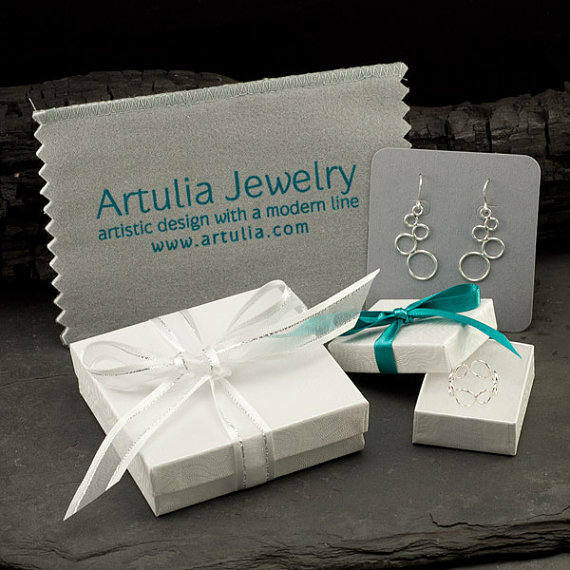 This was a Christmas gift and was much appreciated by the recipient!